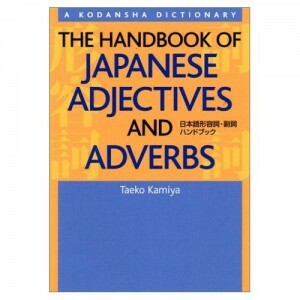 The Handbook of Japanese Adjectives And Adverbs by Taeko Kamiya is a comprehensive guide on how to use adjectives and adverbs in Japanese. Beginners of Japanese usually only know a handful of adjectives and a couple of adverbs, so by concentrating on these areas it’s possible to make your Japanese sound far more natural. Kamiya has included hundreds of common Japanese adjectives and adverbs, along with the appropriate sentence patterns required to use them naturally. The different kinds of adjectives and their conjugations are clearly explained as are all the uses of Japanese adjectives, some of which are very different to the ways in which English adjectives are used. The entries are given in kanji/kana with romanji and the English translation. There are plenty of examples and exercises so it’s a great self-study book. The handbook is only $25 but you can get it from Amazon for just $18.25, saving you 27% ($6.75)!